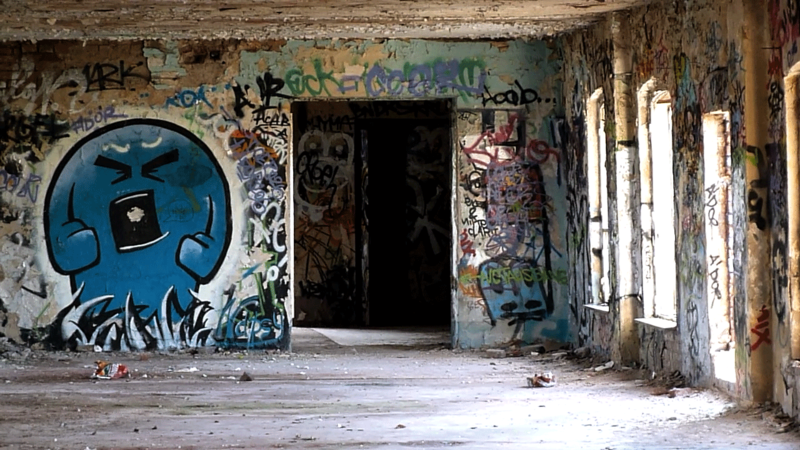 The graffiti factory featured in my 21st weekly video from Berlin is the first one I have explored. It’s on Köpenicker Strasse, west of Kiki Blofeld (not to be mixed up with the Graffiti-covered ice factory on the east side). Btw, right now I’m a bit frustrated with all this buzzing on diagonal lines in the videos. Not sure if a different codec or camera setting would help. Does anyone have any ideas? I’m shooting in AVCHD Lite on the Panasonic TZ10. And yes, I’d love to shoot on a Canon 5D – but unfortunately it doesn’t fit into my pocket or my budget.